Statehood has been a contentious topic for Puerto Rico and its diaspora for decades. The debate about whether or not “the Island”–as many Puerto Ricans refer to it–should become the 51st state has seemingly intensified since Hurricane Maria devastated Puerto Rico last fall. On June 27, U.S. Rep. Jenniffer González-Colón (R) filed a bill that would make Puerto Rico a state by 2021. The bill has received bipartisan support in Congress. The current governor of Puerto Rico, Ricardo Rosselló, who ran on a pro-statehood platform, called statehood a “civil rights” issue for the people of Puerto Rico. The statehood debate has divided Puerto Ricans within the diaspora into three general groups: those who believe the current status quo is best and the island should continue as a U.S. territory, those who want Puerto Rico to become a state, and those who want the Island to be free of its colonial relationship with the U.S. and become its own country. Young Puerto Ricans in Chicago differed on the question of statehood but agreed they want to see change. For 27-year-old bartender Julian Acosta, statehood makes the most sense. “I think it would be best for Puerto Rico to become a part of the U.S.,” said Acosta. Acosta, who is Puerto Rican but was born and raised in the U.S., cited the “economic benefits” that statehood could provide Puerto Rico. “Looking at how much the Island has gone through in the [past] few years, I think they would certainly benefit from” statehood, he said. Benjamin Pagan, 27, who works in retail, moved to Chicago from Caguas, Puerto Rico just two weeks after Hurricane Maria made landfall last September. Like Acosta, Pagan also sees the possible economic benefits of statehood. However, he would most like to see the Island become its own independent country. Pagan said the U.S.’s heavily criticized response to the disaster was a big “wake up call” for many Puerto Ricans about how little the U.S. seems to value them. For Pagan, knowing the violent and exploitative history of Puerto Rico’s relationship with the U.S. is critical to the debate about statehood. In his experience, Puerto Ricans who typically want statehood or to maintain the status quo are usually unaware of this history. And those who do know the history typically want Puerto Rico to be free from U.S. control. For Christian J. Roldan-Aponte, 28, the new statehood bill is nothing more than a political illusion perpetrated by the Island’s pro-statehood party. 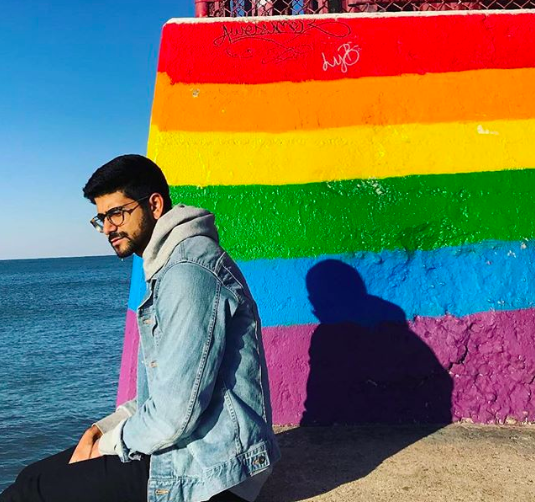 Roldan-Aponte grew up on the Island and moved to Chicago four years ago. 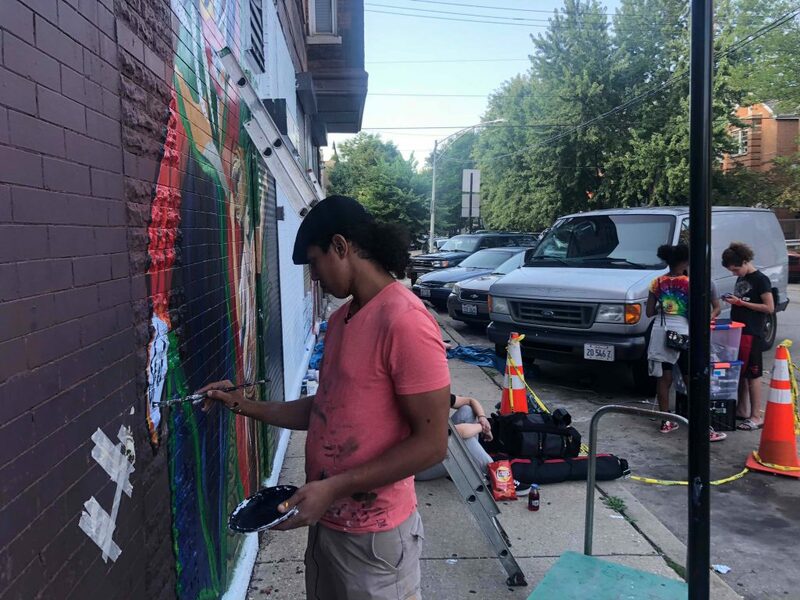 He now runs a youth-art program at the Puerto Rican Cultural Center in Humboldt Park. He said he doubts the sincerity of the latest statehood bill. “I don’t think neither the Republicans nor the Democrats want Puerto Rico to become a state with Puerto Ricans having the majority of the vote” on the Island, Roldan-Aponte said. Roldan-Aponte doesn’t believe statehood is possible while Puerto Ricans are still the majority of the Island’s population, because he thinks Congress would not want to allow a state that has a majority people of color. He thinks that statehood will really only become possible if Puerto Ricans become a minority on the Island, replaced by white Americans who may move there in increasing numbers. Roldan-Aponte called the idea of statehood “ridiculous” given the long history of unequal treatment of Puerto Ricans both on and off the Island. “How could you want to become a state of a country that has not treated you as an equal? What would be the point?” he said. Like Acosta and Pagan, Roldan-Aponte also acknowledged the economic benefits that statehood could provide the Island, which has been in financial crisis for years now. Much of the crisis has been worsened by Puerto Rico’s inability to file bankruptcy because of its commonwealth status. Nonetheless, Roldan-Aponte believes his people should be free of the current colonial relationship with the U.S.